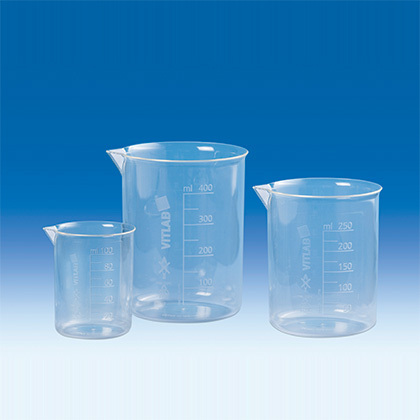 Product and ordering information for Griffin Beakers. 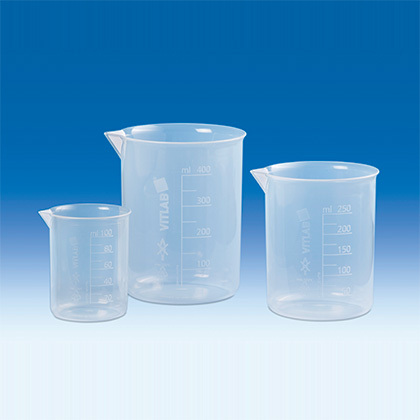 Available in a variety of plastics to fit your application: ETFE, PMP or PP. Meets the requirements of ISO 7056. 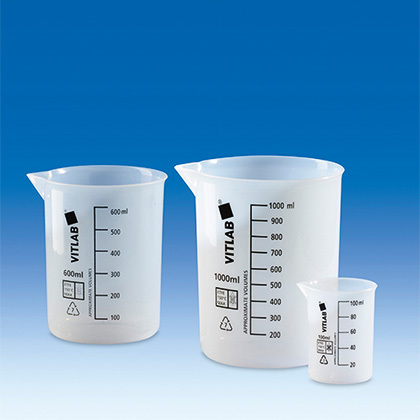 These Griffin beakers are available in a variety of plastics to fit your application. ETFE (ethylene tetrafluoroethylene) provides high chemical resistance and very high thermal stability (-100 to +150°C). 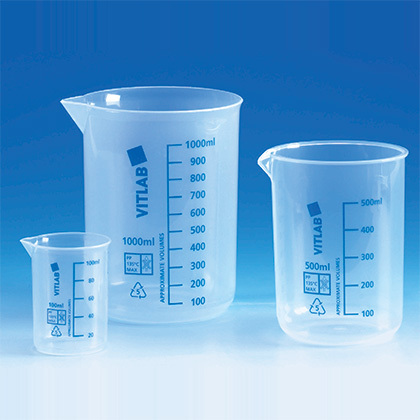 PMP (polymethylpentene) provides glass-like clarity, while PP (polypropylene) is highly transparent and well-suited for general purpose use. Meets the requirements of ISO 7056 (except V110204-V111004). To preserve markings on products with colored overprinting(cat. no. 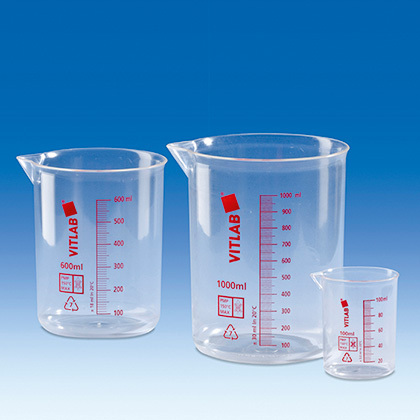 V605081-V617081, V60503-V61703, V110204-V111004), cleaning at no higher than 60°C is recommended. For autoclaving, the design with raised graduations (cat. no. V606941-V617941, V60695-V61795) is recommended.